MENU Why the Masai Mara? Welcome to Discover Africa’s Masai Mara guide. Masai Mara is the most famous and popular safari destination in Kenya, if not anywhere in Africa. The appeal of the Mara and adjacent private/community conservancies isn’t difficult to explain. Its mosaic of rolling hills, open grassland and acacia woodland supports a quite incredible profusion and variety of wildlife. The reserve truly blossoms between August and October, when the legendary wildebeest migration - perhaps the world’s most breathtaking wildlife spectacle - crosses into Kenya from Tanzania. This journey will give you a better understanding of the different areas within the greater Mara ecosystem. Although you could spend months in the Masai Mara, 10 days will give you the ultimate Greater Masai Mara experience, with time both inside and outside the reserve. This safari concentrates on the Mara confluence inside the reserve, Mara North, Olare Orok and Naibosho conservancies. 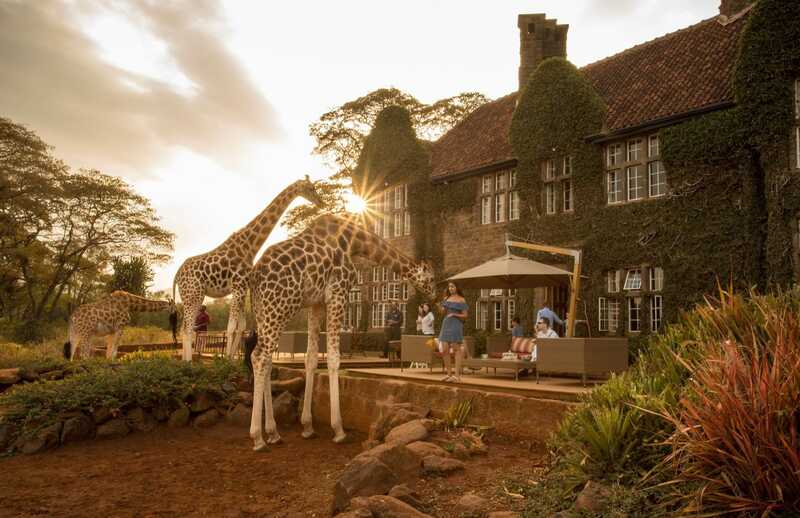 When you arrive at Jomo Kenyatta International, you’ll be picked up and transferred to the famous Giraffe Manor, the perfect start to your safari in Kenya. Today You’ll be driven to Wilson airport to catch your flight to the Masai Mara. When you arrive at Ol Kiombo airstrip you’ll be met by your driver guide and transferred to Rekero Camp for lunch … Inside the Mara, Rekero Camp is at the prime location of the Mara confluence. Enjoy your first afternoon in the heart of the Masai Mara exploring Paradise Plains and Musiara Swamp, made famous by the BBC’s Big Cat Diaries and Jonathan and Angie Scott. On your first full day inside the Masai Mara, you’ll go down to the Mara River to look for crossings, then spend the afternoon in search of possible cat interaction. The Mara confluence is a prime non-mass-tourism location inside the Mara and an ideal start to your Masai Mara experience. Today your adventure begins when you travel into the heart of the Mara North Conservancy where Leopard Gorge was made famous by Jonathan Scott’s filming … Walk, go on a night drive and experience the Mara North at what we believe is the best camp, Kicheche Mara Camp. Start your day with an early morning drive to see what’s happened the night before – nocturnal animals and cats are still active in the early morning. Return to camp for a late breakfast and a morning walk. Try to make the most of the late afternoon and evening drives after sundowners. Olare Orok, or Olare Motorogi Conservancy as it is now called, is probably the best of all the conservancies bordering the Masai Mara Reserve. The location is pristine, not too close to the western escarpment with its big hotels and light pollution but close enough to the Masai Mara core area to have good wildlife viewing all year round. Welcome to Naibosho! Naibosho has more woodland than most of the other conservancies in the area, to give you a different experience … There’s also good walking, with bigger mammal species like elephant and giraffe. Enjoy your first afternoon game driving and exploring this eastern conservancy. We highly recommend that you take a night out of your lodge accommodation to go fly-camping (temporary mobile camp) on the hill overlooking the Masai Mara. Naibosho has an excellent walking guide and we recommend the two- to three-hour walk with Roelof before overnighting at the fly-camp. If walking isn’t for you, enjoy normal game drives and other activities. Located in the far southwest of Kenya in the Great Rift Valley, the Masai Mara National Reserve is the East African country’s flagship park: a vast wilderness of abundant big game, spectacular landscapes and the scene of one of the planet’s most dramatic wildlife migrations … The reserve is named after the Maasai people, a semi-nomadic tribe of pastoralists who have long inhabited the region, and their word to describe this landscape – “mara” – which means “spotted” – a reference to the trees and bushes, as well as the shadows of passing clouds, that dot the plains. The Masai Mara was established in 1961 as a wildlife sanctuary and today it encompasses an area greater than 370 000 acres, with no fences between the park and the neighbouring wilderness of the Serengeti National Park, across the border in Tanzania. The national reserve is only a small part of the Greater Mara Ecosystem, which also includes group ranches, community land and private conservancies. The Masai Mara is one of the best places in Africa to see wildlife: the concentrations of game here are astounding. Resident in the reserve are the Big Five (although not many rhinos, and they’re hard to spot), as well as huge herds of plains game, hippos and crocodiles in the rivers and more than 500 species of birds. The reserve is particularly famous for its big cats – lions, leopard and cheetah – and the nature documentary show BBC’s Big Cat Diary was shot on the reserve’s plains. While the wildlife viewing at almost any time of the year is superb, the Masai Mara is best visited during the months of the Great Migration, when millions of zebra, wildebeest and gazelle make their way north into the park from the Serengeti, crossing the Mara River in search of fresh grazing. Watching vast herds of animals on the move, as well as the thrilling kills by the big cats that pursue them, is one of the most exciting safari experiences you can have, and it’s no wonder that the Great Migration is at the top of most safari travellers’ bucket lists. Apart from wildlife, the landscapes of the Masai Mara are stunningly beautiful: the classic Out of Africa backdrops of seemingly never-ending savanna studded with photogenic acacia trees. To the west, the park is bordered by the Oloololo Escarpment, a dramatic plateau, while the rest of the park is made up of rolling grasslands, acacia woodlands, riverine forest and rocky hills. Two major rivers – the Talek and the Mara – cut through the Masai Mara National Reserve, splitting it into three sectors: the Sekenani Sector, which lies to the east of the Talek River, the Musiara Sector, which is sandwiched between the two rivers, and the Mara Triangle, which is west of the Mara River. The Musiara and Sekenani Sectors are controlled by the Narok County Council, while the more remote Mara Triangle is administered by a non-profit conservancy company, the Trans Mara County Council. Musiara Sector offers great game viewing in the Musiara Marsh, as well as some of the most spectacular wildebeest crossings at the Mara River. In the southeast of the park and bordered by the Sand, Talek and Mara Rivers, the Central Plains makes up the largest part of the reserve. The expansive grasslands of the Central Plains attract vast herds of plains animals, especially during the Great Migration from August to October, while the area is also famed for exciting big cat sightings. Within the Central Plains, the savanna of Paradise Plain is prime cheetah territory, while Rhino Ridge for black-backed jackals, spotted hyena and bat-eared foxes. Head to Lookout Hill for incredible panoramas of the Olpunyaia Swamp and sightings of hippo, as well as for scenes of wildebeest crossing the river during the months of the migration. As the closest area to Nairobi and with a huge number of lodges, hotels and camps, the Central Plains is the most popular area of the reserve for tourists. The Masai Mara’s rivers are home to hippos and massive Nile crocodiles, as well as many species of waterbirds, while the Mara River, which wends its way through the national reserve, plays host to the biggest pods of hippos and also to the perilous crossings of wildebeest during the Great Migration. One of the biggest mammal migrations on the planet, the Great Migration (otherwise known as the Great Wildebeest Migration), sees around two million wildebeest, gazelle and zebra – followed by hungry predators – move between the Serengeti National Park in Tanzania north to the Masai Mara National Reserve between June and September in search of fresh grass after seasonal rains … It’s been called the Eighth Wonder of the World and it’s easy to see why: the sheer scale of the herds is quite literally breath taking, and the everyday dramas of survival, hunting and attacks by predators are among the most thrilling wildlife sightings you can have. The most sought-after scenes from the Migration are the dangerous river crossings that the animals make across the Mara River, which usually take place in July and August in the Masai Mara. With a choice of lodges and camps near the Mara River, you’ll be able to stay close to the action, and spend game drives travelling between different crossing points on the river. Going for a hot air balloon ride at dawn above the plains of the Masai Mara is an unmissable experience. Getting a bird’s eye view of the endless savanna dotted with game is definitely one way of taking your safari up a notch. There are several companies that offer sunrise balloon flights and trips can be booked through your lodge and the price includes transfers from your lodge as well as a champagne breakfast when you land. Make a visit to a traditional Maasai manyatta (village) to learn more about the fascinating culture and history of the semi-nomadic people who call the Mara home. Learn about daily life in the manyatta and some of the traditional rituals and ceremonies that make up Maasai culture and see the villagers singing and dancing – the Maasai are famous for their jumping dance, where the warriors come together in a circle with one dancer in the centre jumping higher and higher along to the singing voices of the warriors. You’ll also be able to buy some of the exquisite and distinctive beaded jewellery pieces that the Maasai wear – a perfect souvenir or gift to take home. If you want a unique experience in the Masai Mara, consider a Maasai homestay: spending a night or two in a Maasai manyatta just outside the reserve’s gates. You’ll get to see what daily life is really like for a Maasai community by helping out with village chores such as milking cows, and learning to make jewellery, but you’ll also get to spend time in nature doing bush walks with a Maasai guide. As one of Africa’s most popular safari destinations, the Masai Mara gets very busy, especially during the peak months of the year from June to September, when the Great Migration takes place, and during the Christmas holidays … The busiest region of the park is in the southeast, near the Talek, Sekenani and Olumuna gates, where there’s a spread of large hotels. The central part of the reserve is also particularly full during the Great Migration. The south of the Mara River has the park’s concentration of hotels and lodges, with 5000 beds, whereas to the north of the river there are only 500 beds. If you want to escape the crowds, head to the Mara Triangle in the west or stay in a camp on one of the many private conservancies that border the park to the north. Another way to avoid the crowds is to travel in early June or during October, when you’ll still have superb wildlife sightings but you’ll be sharing them with far fewer other cars. Early December is another great time of year to visit the Masai Mara – while you’ll have a bit of rain, the park is very quiet, and you’ll have the bonus of lush green landscapes and migratory bird species. It’s a good idea to book far in advance for lodging during the busiest months of June to October, but you should think about reserve a year in advance for accommodation and tours during the Great Migration – although you can also find some great last-minute offers. While there’s a general pattern for the movement of the Great Migration herds each year, the exact timing of the movements can be hard to predict, because it all depends on seasonal rainfall. There’s also no exact route that the herds take: large numbers of animals trek across the Mara River, crossing from the Serengeti into the Masai Mara and moving through the Mara Triangle in the west of the park, then turning east and crossing the Mara River again to move into the Sekenani and Musiara sectors of the park. The herds then make their way north into the conservancies that border the national reserve until the rains start in the Serengeti again and the animals start to move back south to Tanzania in search of fresh grass. To help you follow the herds, we have developed a web-based app – HerdTracker - which plots the exact location of the wildebeest migration in real time to a Google map. Sourced from pilots who fly over the parks, as well as local rangers and safari guides on the ground, HerdTracker works out the distances between the migrating herds and the camps and lodges in the Masai Mara (and the Serengeti across the border in Tanzania), which gives you the chance to find last-minute lodging as close to the herds as possible. We also have a live availability calendar to help you see which lodge still has last-minute rooms. Most travellers who come to the Masai Mara book an all-inclusive package which covers lodging, food, transport to and from the park and activities such as game drives. Booking a package is the most cost-effective way to travel to a pricey safari destination. If you’re travelling independently, you can hire a car and a driver to travel to the park from Nairobi (a six-hour drive) or from the closest town of Narok (three hours’ drive away) and to travel around the park. You can also travel on public transport to the park from Nairobi and Narok, although many lodges will be able to organise transfers. The most convenient and hassle-free way of getting to the park is by flying in – either to a camp’s private airstrip or to one of the several landing trips spread around the park, where your lodge’s game drive vehicle will be waiting to pick you up. Wedged between the Serengeti National Park in Tanzania, the Mara River and the Oloololo Escarpment in the western section of the Masai Mara, the Mara Triangle is a special area of the national reserve which, unlike the rest of the reserve, is managed by a non-profit conservancy company formed by local Maasai communities … The aims with the management of the Mara Triangle are to reduce poaching, improve infrastructure and run community projects that strengthen conservation If you’re looking to escape the crowds of the reserve, the Mara Triangle – which makes up one third of the entire national reserve – should be your Masai Mara destination of choice. The concentration of game in the Mara Triangle is excellent – with all the exciting species that you find in the rest of the national reserve – and yet it sees fewer visitors than the rest of the reserve, due to its remoteness, the fact that there are only two access gates and because there is only one lodge, one camp and some campsites located within the sector. It’s an excellent area to watch the drama of the Great Migration unfold without the masses of other vehicles elsewhere in the park, as the herds of animals move through the sector on their way into and out of the Masai Mara from the Serengeti. This area of the park, which spans a vast 126 000 acres, contains the most dramatic scenery of the Masai Mara, with landscapes ranging from riverine forest around the Mara River, to vast plains, volcanic hills and the 400-metre high Oloololo Escarpment on the western edge of the reserve, where you can soak in some of the reserve’s best views. In fact, some of the best-known scenes from the film Out of Africa were filmed in the spectacular wilderness of the Mara Triangle – and on game drives you’ll be able to visit some of the exact locations of the shoots. The Mara Triangle is area where the herds of the Great Migration enter and exit the Masai Mara National Reserve from the Serengeti National Park in Tanzania, making it a prime section for viewing this amazing wildlife spectacle unfold … Crossings of the Mara River make for some of the most dramatic scenes of the migration, so staying in the Mara Triangle will give you front-row seats to the show. There’s a launch site for hot air ballooning in the Mara Triangle, and this airborne activity should not be missed. Flying high above the plains of the Mara as the sun turns the landscapes golden and being able to do wildlife spotting from the air is an experience you’ll never forget. You can organise the hot air balloon flight through your camp or lodge. For adventurous travellers, the Mara Triangle offers a unique experience that you can’t do anywhere else in the national reserve: camping in the wilderness. You’ll need to be self-sufficient, with your own food, water and firewood and to be cautious about wild animals entering your campsite, but if you’re up for the adventure, there’s no better way to experience the magic of the bush. There’s only one lodge and one camp situated within the Mara Triangle, so if you want to stay in the conservancy be sure to book ahead – and especially far ahead if you’re travelling during the peak months of August to October … There are also 10 camps located outside of the sector that offer game drives within its borders, so you do have other options if you want to explore the area. If you’re travelling on a budget and want to pitch your own tent in the park, the Mara Triangle is where you should head. There are three public campsites and eight private campsites in the Mara Triangle, and prices start at an affordable US$ 30 per person. You don’t need to book in advance for the public campsites but you do need to reserve the private campsites ahead of time on the Mara Triangle Conservancy website. By car the Mara Triangle is more challenging to reach than the more popular and more accessible eastern sections of the Masai Mara. The roads to the Mara Triangle are rough and you’ll need a 4x4. The easiest way to access the region is by plane: there are two airstrips that you can fly into and daily flights connect the Mara Triangle with other safari destinations in Kenya as well as Nairobi. While the Masai Mara National Reserve is the focal point of the Greater Mara Ecosystem, in the last decade there have been a number of conservancies that have been established which border the unfenced national reserve … These conservancies are on private land owned by Maasai families that have been set aside for wildlife conservation and tourism. The landowners lease their land to safari companies and lodges, who then pay monthly fees which go back into the community, funding education and other development initiatives. In return the Maasai are still allowed to graze their cattle on the land, but only under strictly controlled conditions. As a result of the establishment of conservancies, Maasai communities have benefited from economic upliftment, while wildlife numbers have increased as land that was once over grazed by cattle is now being rehabilitated as wilderness. Mara conservancies are the best option for people wanting a low tourist density Masai Mara safari experience, as most of the concessions only have a few camps – and restrict the number of beds on the land – and don’t allow self-driving, so there’s a limit to how many vehicles will be at sightings. The other bonus of staying on a conservancy is being able to do the activities that are not permitted in the national reserve, including bush dinners, night drives, off-road driving and walking safaris, which are an amazing way to experience the wilderness and animals. On walks in the bush, Maasai guides will not only track animals but teach you about the ecosystem, its fascinating animal, bird and insect life, as well as the medicinal and cultural uses of plants. The conservancies – which cover an area of land almost the same size as the national reserve itself – are concentrated around the northern end of the reserve, but they also lie to the east of the Masai Mara in more remote locations. By staying at a Maasai-owned conservancy, you not only experience the luxury of exclusive wildlife viewing, but you also contributing to community conservation, improving the lives of local communities, and also helping wildlife numbers to increase. Mara North Conservancy:On the northwestern edge of the Masai Mara National Reserve, the 74 000-acre Mara North Conservancy is one of the best of the concessions for its abundant wildlife, quintessential savanna landscapes and commitment to community conservation, working to rehabilitated overgrazed land and natural habitats and managing grazing areas … Game viewing is excellent, and particular highlights are big cat sightings and the dramatic herds of the Great Migration. Out of all the conservancies, it has the greatest number of camps – 10 in total – but there’s still a lot of space and privacy, as that means there’s nearly 700 acres per tent. Mara Naboisho Conservancy: It’s easy to see why this 50 000-acre conservancy is hailed by many as the top concession in the Masai Mara. To the north of the national reserve, the Mara Naboisho Conservancy has only seven camps (which means 877 acres per tent), so there’s plenty of wilderness without other cars – and the impact on the environment is limited. The concentration of wildlife is high, with abundant big cats and herds of wildebeest, elephant and giraffe. It also ticks all the boxes for successful community conservation: the conservancy was established when more than 500 Maasai land-owning families decided to join up their land (“naboisho” means come together in the local Maa language) in order to allow for wildlife movement – there are no fences between the conservancy and the Maasai Mara – tourism and grazing. In order to allow the land to recover from intensive herding, the Maasai now practice controlled grazing. Enonkishu Conservancy: At the northern end of the Greater Mara Ecosystem, the 6000-acre Enonkisu Conservancy is focused on improving cattle management so that the ecosystem and wildlife can regenerate and local communities have sustainable income from both grazing and conservation fees. Wildlife to spot include lots of plains game, giraffe, buffalo, elephant and a pride of lion that lives on the edge of the conservancy. Lodging in the conservancy is offered on an estate that has been “rewilded” from intensive cattle farming and in simple bandas at the conservancy training centre. Ol Kinyei Conservancy: With only two small camps (as well as two mobile camps) on its 18 700 acres of grassy plains and undulating hills, the Maasai-owned Ol Kinyei Conservancy offers privacy and exclusivity – one tent per 1100 acres – as well as superb wildlife viewing, with a resident lion pride and leopards, as well as elephant, buffalo, giraffe and more than 300 bird species. The camps in the conservancy also offer game drives in the neighbouring Mara Naboisho Conservancy. Olare Motorogi Conservancy: One of the oldest and most successful conservancies, Olare Motorogi (made up of the former Motorogi and Olare-Orok Conservancies) has been a blueprint for other concessions and community conservation in the Masai Mara. It also offers exceptional wildlife viewing (with large numbers of lion and elephant), with one of the highest concentrations of animals and lowest tourist densities in the Mara: there’s a 94-bed limit on the conservancy with just one room per 700 acres on its 33 000 acres of riverine forest, valleys and acacia woodland. Olderikesi Conservancy: Along the eastern border of the national reserve close to the Serengeti in Tanzania, the 24 700-acre Olderikesi Conservancy is located in one of the most remote areas in the Masai Mara ecosystem. It’s also one of the most exclusive concessions, as there are only 20 rooms on the entire conservancy – a distribution of one room per 1200 acres. If you’re looking for the solitude in the wilderness, this is your spot. It’s also particularly rich in game and is known for fantastic lion, leopard and cheetah sightings. Mara Siana Conservancy: Recently established in 2015 by 1200 landowners, the 7898-acre Mara Siana Conservancy lies some distance away from the Masai Mara National Reserve to the east. If you really want to get off the beaten track, this is a good option, as it’s more remote than some of the other conservancies and only has two lodging options. In this secluded valley there’s plenty of wildlife to be spotted, from prides of lions, herds of elephants, cheetah, leopard, buffalo and the occasional black rhino and wild dogs. Loita Hills: Lying to the northeast of the Masai Mara, the little-visited mountain range of Loita Hills is home to Maasai communities and home to beautiful landscapes of huge plains, thick forests, verdant hills and mountain peaks that loom up to 2150 metres. While this isn’t a conservation area and there’s less wildlife than in the conservancies, there’s still game to be spotted, from buffaloes and bushbucks to colobus monkeys, as well as lots of birds. However, the main reason to visit Loita Hills is to experience traditional Maasai culture and visit community projects and to experience a walking safari with Maasai guides in an area where few other tourists venture. There are a few options for walking safaris: staying at a base camp and doing day walks into the surrounding area, or doing a multi-day trip of up to 12 days, staying at mobile camps with all your equipment and provisions carried by donkeys. Loita Migration: While everyone has heard of the Great Migration, hardly anyone knows about the Loita Migration. Around May, at the start of the dry season, a smaller movement of hundreds of thousands of wildebeest and other antelope make their way from the Loita Plains that lie to the north of the Masai Mara National Reserve southwards into the reserve itself. The animals move through the Mara Naboisho, Olare Motorogi and Ol Kinyei Conservancies, so if you want to experience this mini version of the migration, then book a stay at one of the camps on these concessions. The peak Great Migration months of August to October are especially busy in the Masai Mara, so be sure to book far in advance for lodging at conservancy camps … keeping in mind that many camps are small and intimate, so they only offer a few tented rooms and will get booked up quickly. The best and easiest way to access lodges and camps on the conservancies is by flying into conservancies’ airstrips, where the lodge you’ve booked will be waiting to pick you up. You can drive to the conservancies, but you’re not allowed to self-drive in the conservancy. If you stay in a conservancy, you can do game drives in the Masai Mara National Reserve to see the Mara River crossings during the Great Migration months. There’s less rain in January than in December, with an average of 15 days of rainfall in the month. If it does rain then it’s usually a short shower in the afternoon &hellip January is one of the warmest months of the year, and day time temperatures can reach 28C, with nights dropping to a minimum of 12C. January is a great month to visit the Masai Mara if you’re a birder: the birdwatching at this time of year is superb and there are many migratory species to spot. It’s also the birthing season, so this is the time to go to the Mara if you’d like to see baby animals taking their first steps. February gets more rain than January, with an average of 17 rainy days a month. Temperature wise, it’s the same as January: average highs of 28C and average night-time lows of 12C February is a good month to visit the Masai Mara if you want to see lots of baby animals (up to half a million wildebeest are born this month), and you don’t mind afternoon thundershowers. Wildlife viewing is good, and birdwatching is excellent, with many migratory species present in the park. March is a rainy month. Nearly every day of the month will have afternoon thundershowers and there may be continuous rain. High rainfall in March means that roads get very muddy and can be challenging to drive on, and some camps close down until May. The park sees fewer visitors this month, while the landscapes are lush and green. A highlight in March is spotting migratory birds. April is the wettest month of the year, and even though there’s rain almost every day of the month, it rarely rains all day. April is slightly cooler than March, but it’s still warm during the day, with average highs of 28C. 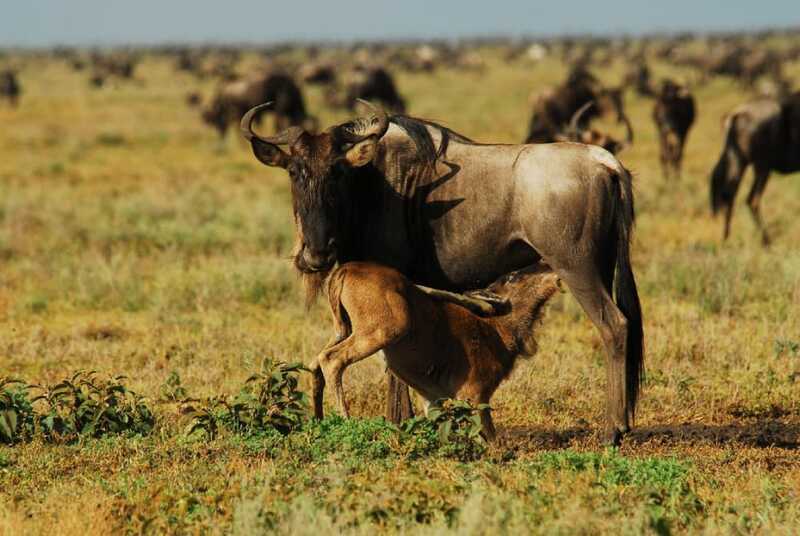 While calving season has ended, the herds of wildebeest are still in the Southern Serengeti and Ndutu Region, sustained by the lush grass on the plains. However, the herds have also started moving northwards, so you can catch them on the move in the Seronera/Central Serengeti region too. Because of the amount of rainfall that April receives, it’s one of the least popular months to visit the park, which means that you can get discounted rates on lodging and packages. A plus is that the park is very quiet, so you’ll have sightings without any crowds. There’s slightly less rain in May than in April, but it’s still one of the wettest months of the year. May marks the start of several slightly cooler months (with average daytime highs are 25C), lasting until September. May isn’t an ideal time to visit the Masai Mara because of the amount of rainfall making wildlife viewing and driving around the park more challenging. Some lodges and camps are also closed because of the rain. One plus of visiting at this time of year is discounted rates for package tours and lodging and far fewer visitors to share sightings with. After the rainy season months of March to May, June is much drier – down from 20 days of rain to an average of 12 days of rain during the month. June marks the start of the busy season in the Masai Mara – the weather is dry, and the days are cooler than at other times of the year, and the wildlife viewing is excellent, although the majority of the herds of the Great Migration have not yet arrived. Along with August, July is the coolest month of the year, and night times can dip below 10C so bring along warm clothes and lots of layers for early morning game drives. Day time temperatures are pleasantly warm. July is also the driest month of the year, with an average of only 11 days of rain. In July the herds start moving into the Masai Mara from the Serengeti at the start of the Great Migration so it’s an ideal month to travel to the park if you want to witness the thrilling spectacle. The lack of rain at this time of year also means that the bush is thinning, making it easier to see animals. The downside of travelling in July is that it’s one of the busiest months of the year: prices go up and sightings can be very crowded. August is one of the driest months of the year, and has the same cooler temperatures of July: average lows at night of 11C and highs during the day of 25C. August is very popular time for people to visit the park to witness the daily dramas of the Great Migration. As the dry season progresses, it becomes easier to see animals in the thinning bush. In terms of wildlife viewing, it’s hard to beat. Along with September, it’s the busiest and most expensive month to visit the reserve. September is slightly warmer than August, going up to an average daytime high of 27C, however, nights can be as chilly as 12C so bring along warm gear. September remains in the dry period, with little rain to disrupt game viewing. Together with August, September is the most popular month to visit the Masai Mara (expect lots of other tourists and the highest prices of the year), as the spectacle of millions of animals moving in the Great Migration is in full swing. October marks the end of the dry season, and the “short rains” can sometimes start this month. It’s one of the warmer months of the year, with day time highs averaging at 29C. Some of the Great Migration herds are still in the Northern Serengeti (and still making Mara River crossings), but sometimes this month (depending on when the rains start), the herds start to move back down into the Serengeti from the Masai Mara this month, passing through the Loliondo Game Controlled Area (a concession outside of the park’s northern section). Depending on when the rains start in October, the herds of the Great Migration will start to make their way from the Masai Mara back down south into the Serengeti, however the exact timing of this movement is unpredictable. There is a chance that you can still catch the last of the river crossings in the Northern Serengeti this month. Falling at the end of the dry season, October’s very dry and thin vegetation means that this is an excellent month for seeing resident game. November marks the start of the second rainy season of the year – the so-called “short rains”. With an average of 20 days of rain this month, you’ll likely to see thundershowers on most days of your visit, although they are often only short afternoon rain showers, after which the skies clear up. November is a good time to visit the Masai Mara to catch the end of the migration as the herds start making their way back down to the Serengeti in Tanzania. It’s a good month for birders too, as migratory bird species begin to arrive in the park. The only downside can be the rain but the thundershowers are usually short bursts of rain in the afternoon and are unlikely to disrupt your game viewing too much. December falls during the “short rains” – the second rainy season of the year – in the Masai Mara, and sees and average of 17 days of rain during the month. While the rain can be heavy, it usually only pours for a short time in the late afternoon and shouldn’t affect your game viewing too much. Longer grass from the rain makes wildlife viewing a little more challenging this month, although December is a fantastic month for birdwatching in the Masai Mara as the migratory species can be spotted. The birthing season which is called “Toto Time” starts this month, so if you fancy seeing baby animals being born and taking their first steps then plan on visiting the park between December and February. It’s less busy in early December than during the peak months of June to October, but it gets very busy in the park during the Christmas holidays. Kenya’s flagship park, the Masai Mara National Reserve, is one of Africa’s finest wildlife destinations where quintessential safari landscapes of vast acacia-dotted savannas teem with animals. The stellar highlight of the Masai Mara is, without a doubt, the Great Migration, an annual movement of millions of wildebeest, gazelle and zebra migrating between neighbouring Tanzania the Kenyan park. Seeing the dramatic daily scenes of the Great Migration – the massive, noisy herds, the animals making the perilous crossing of the crocodile-infested Mara River and the thrilling big cat hunts – are among the best and most exciting wildlife experiences you can have in Africa. Apart from the Great Migration, the Masai Mara has excellent wildlife viewing throughout the year, and sightings of four of the Big Five – leopard, lion, elephant and buffalo – are pretty much a given, making it a perfect first timer’s safari destination. 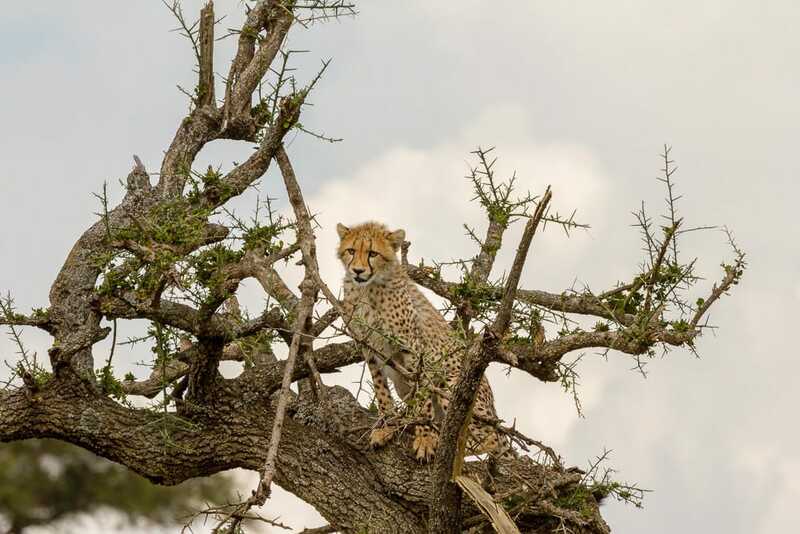 The Mara is famous for its leopard, lion, and cheetah, but there’s plenty more game to see on the wide-open plains, from giraffe and eland to smaller predators such as bat-eared fox, spotted hyena and black-backed jackal. While there’s a wide range of lodging options to accommodate all budgets, the Masai Mara’s luxury lodges and camps really stand out. Scattered across the park – in some truly spectacular remote locations – they offer a taste of the “Out of Africa” safari romance: tented rooms and suites that open right onto plains full of grazing animals, impeccable décor and antique furniture, four-poster beds, infinity pools and outdoor canvas bathtubs – as well as excellent service and well-trained guides who are not only experts at finding wildlife, but will also bring the bush to life with their storytelling skills. Luxury mobile tented camps that occupy different seasonal locations in the park give you the chance to get as close to the migrating herds as possible, without having to rough it. These camps combine an intimate low-key wilderness experience with luxury comforts: a recipe for the perfect safari. The Masa Marai National Reserve makes up just one part of the Greater Mara Ecosystem, which is also made up of community ranches and private conservancies owned by local Maasai, and which offer privacy and the exclusivity of limited numbers of visitors spread out across vast areas. As the Masa Mara has increased in popularity, many safari goers now choose to stay on these conservancies – many of which were established in the last 10 years – for the same wildlife experiences as the Mara but with far fewer other cars around. What’s also special about the conservancies is the option of doing walking safaris with Maasai guides, an exciting activity that is not on offer in the reserve. With their abundant game, spectacular scenery, commitment to community conservation and low tourism densities, the Masai Mara conservancies are now up there with East Africa’s best safari destinations. Few places have a higher concentration of wildlife than the Masai Mara, and sightings of four of the Big Five are almost a guarantee on any trip (although rhino are harder to spot). The Mara is also one of the best reserves on the planet for seeing the three big cats: leopard, lion and cheetah. It’s no wonder that the BBC TV show Big Cat Diaries is filmed on the reserve. Along with the Serengeti in Tanzania, the Masai Mara plays host to the greatest wildlife spectacle on Earth: the Great Migration. For most nature lovers, witnessing the movement of millions of wildebeest, zebra and gazelle across the Mara River and streaming through the vast plains of the Masai Mara, is one of the ultimate wilderness experiences. Seeing the daily dramas of survival and death are the stuff nature documentaries are made of. The Masai Mara conservancies – private concessions which border the reserve and make up part of the Greater Mara Ecosystem – are reason alone to visit the safari area. These conservancies encompass nearly as much land as the national reserve and offer the same incredible wildlife densities – as well as the Great Migration herds – but without the crowds, as each conservancy adheres to a limited number of beds per acre. The Maasai, one of Kenya’s most recognisable tribes, are part of what makes a visit to the Masai Mara so unique. These semi-nomadic pastoralists have a rich and fascinating culture and visiting a Maasai village or doing a homestay with a Maasai family can be one of the most memorable aspects of a trip to the Masai Mara. Many guides in the lodges and camps of the Mara are Maasai, and they share their superb tracking skills to wildlife spotting and a wealth of knowledge about the ecosystem, animals, plants and birds with guests. The private conservancies that border the national reserve are either owned by or leased from the Maasai, and the tourism industry provides important financial support to local communities as well as an incentive for continuing conservation projects and initiatives. The Masai Mara has one of the best concentrations of game in the world and is the best reserve for spotting big cats – and that’s not to mention the legendary Great Migration that takes place here annually, providing the kind of dramatic scenes that you usually only see on nature documentaries. There’s plenty to the Masai Mara to warrant return trips. As with any safari destination, there’s much to be said for returning to the Masai Mara at different times of the year for various natural attractions. The Great Migration months of July to October promise thrilling sights, but the other months of the year have their own attractions, such as migratory birds between November and April and baby animals being born during the rainier months of the year. Travelling during the quieter months of the year will also mean that you have more of the wilderness to yourself, as the migration period and the Christmas holidays can get incredibly busy, and it’s not uncommon to have many cars packed around a sighting. The conservancies that border the Masai Mara are destinations in their own right, offering abundant game, spectacular scenery and the exclusivity of only a few camps over massive areas. If you stay inside the park itself on your first visit, it’s definitely worth returning to the Mara for a different experience on a conservancy and for the chance to do walking safaris. The Masai Mara has wildlife in abundance: the reserve is home to the Big Five, and you’re pretty much guaranteed to see lion, leopard, buffalo and elephant on any trip, although black rhinos are harder to spot. The reserve is particularly famous for its populations of big cats, with one of the highest concentrations of lion in the world, as well as large numbers of leopard and cheetah. Other predators include spotted hyena, black-backed jackal and bat-eared fox, while antelope species include topi, eland, reedbuck, impala and Thomson’s gazelle. Masai giraffe – the largest subspecies of giraffe found only in Kenya and Tanzania – is easily spotted. The Great Migration is the most famous wildlife spectacle in the world, and the reason that many people travel to the Masai Mara. Each year, millions of antelope move across the savanna from the Serengeti to the Masai Mara, crossing the Mara River and falling prey to predators along the way. 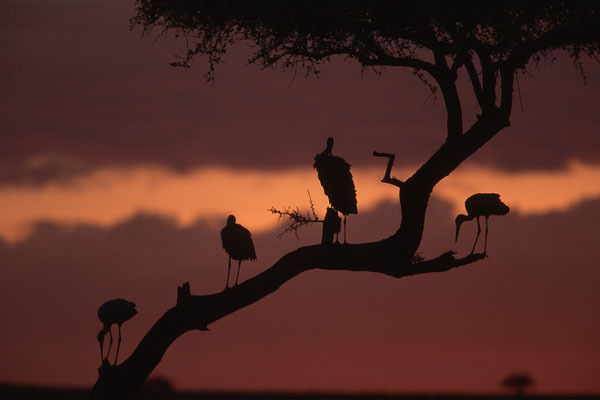 While the Masai Mara is more renowned for its wildlife than its birds, its varied habitats are still home to more than 500 species of birds, from kori bustards, ostriches and ground hornbills in the grasslands to saddle-billed storks and goliath herons in the swamps to Schalow’s turaco and Ross’s turaco in the riverine forest and seven species of kingfisher in the rivers. There’s an incredible diversity of raptor species – 57 recorded species – as well as seven species of vulture, while migratory birds arrive in the reserve in November and stay until April. Solo travel in the Masai Mara is an exciting adventure in one of the world’s top safari destinations, whichever way you choose to travel. Self-drivers will have the freedom to explore the park on their own, while if you would prefer to join up with a group, there are plenty of options for organised tours, ranging from budget-friendly safaris where you stay at campsites, all the way up to the most luxurious and exclusive camps and lodges. Travelling on a tour is by far the most affordable way to experience the Masai Mara. Independent travellers looking to meet other travellers will have opportunities to socialise with other people at their lodge or camp either on game drive or at dinner (some camps do communal dinners). If you’re looking to stay in a big hotel or lodge with lots of facilities, then pick a property in the eastern sector of the park or outside the park gates, as this is where the biggest concentration of large hotels is. For a quieter wilderness experience, choose to stay at a lodge in either the Mara Triangle or on one of the private conservancies, where guest numbers are limited and camps tend to be small and intimate. If you’re looking for a romantic safari destination, the Masai Mara will tick all of your East African safari fantasies: quintessential savanna landscapes, an abundance of animals and big cats, the drama of the Great Migration, as well as excellent camps and lodges that add special touches for honeymooners or romantic couples. For the ultimate romantic holiday, prioritise exclusivity and intimacy when choosing your camp or lodge. Rather than staying at one of the massive lodges in the eastern section of the park – some of which have 150 beds – pick a small camp which has less than 10 tented rooms. A great option for romantic couples who want to escape the crowds of the Masai Mara is staying in one of the many private conservancies that border the reserve, which offer the same superb wildlife viewing and photogenic landscapes, but with a restricted number of beds per acre and a limited number of vehicles per sighting, which makes for a much more exclusive wilderness experience. Mobile tented camps are also a wonderful option for a romantic safari, as they are usually very small, with only a few beds, and give you the chance to experience life under canvas in remote locations – but with the creature comforts of hot bucket showers, flush toilets, five-star quality food and stylish furnishings. The best of the luxury camps – whether on a conservancy or in the reserve itself – combine incredible settings with romantically designed rooms – think lots of privacy, open-air bathrooms, private plunge pools, and, at one camp, even a four-poster bed under the stars. You can also book private game drives for more wilderness time without other guests. The special experiences that camps can organise for romantic couples to make your stay even more memorable include private champagne breakfasts in the bush, couples’ massages, sundowner cocktails in spectacular locations, private candlelit dinners on your balcony or deck and sunrise hot air balloon rides for two. A family holiday in the Masai Mara is a once-in-a-lifetime experience that your kids will never forget. Exploring one of Africa’s greatest wilderness areas seeing elephants, lion, leopard, cheetah, giraffes and massive herds of antelope against photogenic savanna backdrops will enchant kids of all ages. 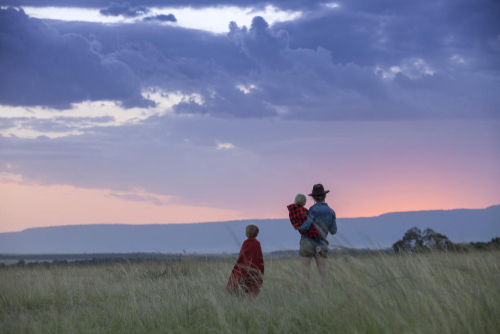 The Masai Mara is also one of Africa’s best safari destinations for families because of the ease of spotting game on the open plains, the thrilling dramas of the Great Migration scenes, and a host of child-friendly places to stay. Having the perfect family holiday in the Masai Mara is all about where you stay. Research family-friendly lodges (some lodges have minimum age limits) and be sure to book one that offers family tents or rooms (with their own dining and lounge areas), kids’ activities such as nature walks, treasure hunts, bow and arrow shooting, fire making, storytelling and special extras such as kids’ adventure clubs. Consider staying at a lodge or camp on a conservancy where you can do guided bush walks, to give the kids a break from long game drives (walks are not permitted in the national reserve). Some lodges offer child minding services but these usually need to be requested before your trip. Most upmarket lodges and camps that allow children will be able to cook child-friendly meals. Another option for families is renting one of the private houses on conservancies bordering the Masai Mara. These houses – which come with their own team of staff – can only be booked exclusively, which means you’ll have privacy as well as more freedom for the children. If you have young children, it’s a good idea to book a private game drive vehicle for your family, so that you can tailor the length of your game drives and choose your own schedule (usually morning game drives start very early) and also not disturb other guests. Keep in mind that many camps and lodges are unfenced, so you need to keep a careful eye on your children and not let them wander around on their own. Doing a fly-in safari is the easiest option if you have small children, as the drive to the Masai Mara from Nairobi is long and on bumpy roads. It’s a short flight on scheduled or chartered planes from Nairobi (and other destinations in Kenya) to the airstrips in the reserve or in the conservancies. You won’t need your own car once you’re in the reserve as most lodges and camps offer guided game drives, and will pick you up from the airstrip. As with any African travel with kids, make sure that you get any required vaccinations at least six months before you travel. The Masai Mara is a malarial area, and you should consult your doctor about the necessary prophylactics. The most important thing is to prevent being bitten, so always dress your kids in long-sleeved shirts and trousers and spray with mosquito repellent – especially around dawn and dusk – and use a mosquito net when sleeping. The Masai Mara is an expensive destination and everything from daily park fees to lodging is pricey, however, you do have some choices when it comes to planning a budget trip. The best budget-friendly way to travel is on a group safari and stay in campsites: your transport, guide, park entrance fees and meals are included in the package price. You can travel to camps on the outskirts of the park on public transportation from the town of Narok and then book game drives into the park from your camp. There are a number of campsites outside the park gates – the least expensive lodging option – where you can either bring your own tent, rent a tent or pay more to sleep in a permanent erected tent. Another lodging option is to organise a homestay and spend the night with a Maasai family in a village outside of the park. Some adventurous travellers prefer to hire their own 4x4 (and rent camping equipment from Nairobi) and explore the park on their own steam, staying at campsites outside the park or in the Mara Triangle. Having your own vehicle gives you plenty of freedom, and camping in the bush is a wonderful way to immerse yourself in nature. Be aware that the roads leading into the Masai Mara National Reserve are in bad condition – particularly between the town of Narok and the Talek and Sekenani Gates. It’s good to have some 4x4 driving experience in Africa and understand the rules of the park if you’re driving yourself: don’t ever go off road, and leave the wildlife plenty of space. Inside the park, your camping options are limited to the Mara Triangle, where you can stay in either the public campsite or special campsites (which need to be reserved in advance). If you’re camping inside the park you need to be entirely self-sufficient and take in all of your own food, water and firewood. Prices in the Masai Mara are highest during the peak migration months of August and September and lowest during the rainy season of April and May, so if you’re looking to pick up good deals on lodging, consider travelling during the wettest months of the year. The most cost-effective way to do a mid-range trip to the Masai Mara is to join a safari tour which offers transport, a guide and lodging as part of the package. For those travelling independently, you have a lot of options for mid-range lodging. Outside of the park gates you’ll find the best selection of mid-range lodges, camps and hotels but there are also some excellent mid-range options inside the park. The eastern region of the park has the best concentration of value-for-money lodges and camps, but it is the busiest area of the park, so be prepared to share sightings with many other cars, especially during the peak months. Considerations to keep in mind are the size of the camp or lodge. If you’re looking for peace and quiet in the bush, book a smaller camp with only a few tents or rooms, rather than one of the 150-bed lodges. If you want a good deal on lodging, avoid travelling during the peak months of August and September and instead travel during October and November instead, when you’ll still be able to see the migration but lodge prices are lower. If you don’t mind muddy roads and rain, travel during the wettest months (the low season) of April and May, when you can pick up great deals on discounted lodge rooms. There’s no shortage of luxury lodging in the Masai Mara, so you’re spoiled for choice when it comes to picking a superb place to stay, whether it’s an intimate tented camp or a stylish lodge. Upmarket camps and lodges usually offer fully-inclusive packages that encompass all your meals and activities, such as twice-daily guided game drives, and if you’re on a concession, then night drives and bush walks. Extra activities such as hot air balloon rides can also be arranged through your lodge. From high-end properties you can expect fabulous locations stylish décor, lots of attention to detail, excellent service and amenities such as infinity swimming pools and spas. To escape the crowds don’t stay in one of the large hotels in the east of the park but rather at one of the camps in the Mara Triangle in the west, or for even more exclusivity, book your trip at one of the luxury camps or lodges situated in one of the many conservancies that border the park. These private conservancies have a limit of the number of beds per hundreds of acres, as well as vehicle limit at sightings, so you’re guaranteed to avoid the cars that can pile up around a sighting in the Masai Mara itself. For the ultimate Great Migration experience, stay at one of the mobile luxury tented camps which move position in the Greater Mara Ecosystem along with the herds of animals between July and October. These minimal footprint camps get you closer to the action than anything else, and you’ll get to experience the magic of camping in the bush – without actually camping. There’s no sacrificing comfort, as the spacious tents come with en suite bathrooms (flush toilets and hot bucket showers) and solar power, as well as communal dining and lounge tents decked out in rugs and antique furniture. Gourmet meals and attentive staff seal the deal. Mobile camps usually only have less than 10 tents, so you’re guaranteed an intimate experience that makes the most of an immersion in the wilderness. Wherever you stay, consider hiring one of the top private freelance guides to the Maasai Mara – such as Jackson Looseyia, one of the presenters of BBC show Big Cat Diary – who will join you for all of your game drives and enhance your wildlife viewing immeasurably. By far the easiest (and most luxurious) way of getting to the Masai Mara, or any of the conservancies, is by flying in on a scheduled or chartered plane. Some camps have their own private airstrip but if they don’t then you’ll be able to land at one of the landing strips scattered around the park, and your camp will arrange a pick up and transfer. If you’re travelling around Kenya after your Masai Mara safari, you’ll be able to fly to Mombasa or Malindi on the coast, as well as other safari destinations, or to Nairobi. While you can organise your own luxury Masai Mara safari, many travellers prefer to have a tour operator put together a tailor-made package of flights, guides and safari lodges. Going through a tour operator will take a lot of the hassle out of arranging the trip, and also ensure that you’re staying at the right lodge or camp at the right time of year to see the best of the park’s wildlife.